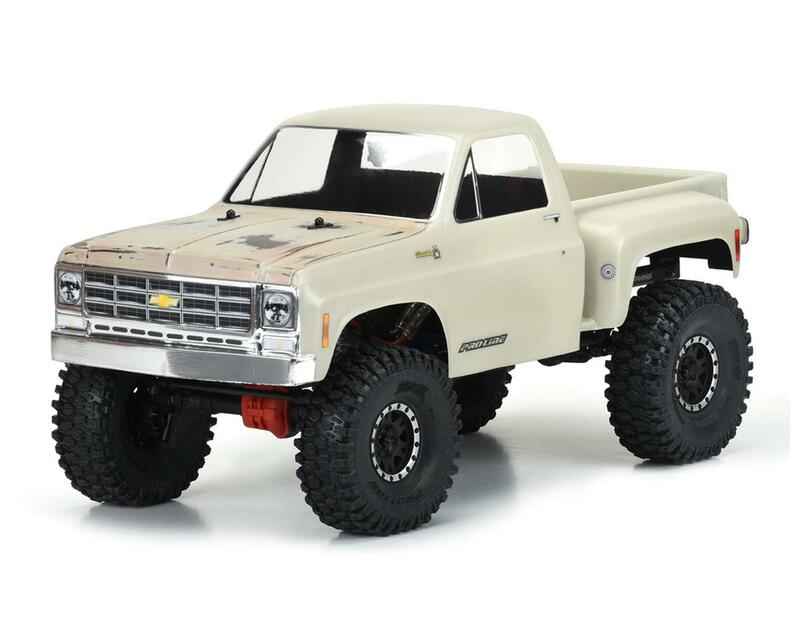 The Pro-Line 1978 Chevy K-10 12.3" Rock Crawler Body gives you what you need to make your crawler look even more scale, with short box step side Chevy styling. The 1978 K-10 body has been carefully sculpted with realistic details that recreate the lines and squared off style of this iconic truck! The separate Cab and step side Bed gives Pro-Line the ability to mold even more realism into the body and is designed to fit standard 12.3” wheelbase crawlers.